Tere Ramos focuses her practice on education and Social Security disability law. She represents children with special needs and their families, as well as students who have faced bullying, harassment, or civil rights violations in school. She also works to protect the financial future of individuals with disabilities by helping them access benefits. Her life’s mission is to seek justice for low- and moderate-income families and those with limited English—people who are often underserved by the legal system. At Ramos Law, she brings the same energy, passion, and commitment to all cases, regardless of the client’s means. Ms. Ramos received her undergraduate degree from Wellesley College, a master’s degree from Georgetown University’s School of Foreign Service, and her law degree from Boston College Law School. A native speaker of Spanish and English, she is also fluent in Portuguese, Italian, and French and has a working knowledge of Chinese, German, and Russian. Ms. Ramos has extensive experience guiding parents through the special education process and resolving disputes with districts in cost-effective ways. She has helped hundreds of families through her work as a special education attorney at the Disability Law Center and as the Executive Director of Special Education Advocates, which she founded in 2009. As the state’s Language Access Attorney at the Massachusetts Law Reform Institute, she fought successfully for the language access rights of non-native English speakers through large-scale litigation in education and other areas. The mother of two daughters, one with autism, Ms. Ramos has firsthand experience with the struggles families face in getting education services. Recognizing the lack of help available for non–English-speaking families, she has focused on serving students from Latino and other underserved communities. Ms. Ramos has worked with disability advocates from around the world. Originally from Puerto Rico, after finishing her master’s degree in diplomacy from Georgetown University in Washington, DC, she lived in China, Brazil, Peru, Italy, and France and traveled to more than 100 countries. She understands what it’s like to live in a new culture, and is committed to helping clients overcome language barriers to get the services they need. An active disability advocate, Ms. Ramos chairs the Advocates for Autism Massachusetts Children’s Rights Committee and co-chairs the MA Department of Education’s Special Education Advisory Committee. She also serves on the board of the Federation for Children with Special Needs, New England’s largest resource for parents of children with disabilities, and on the MA Board of Registration of Social Workers, where she was appointed by Governor Deval Patrick. She is an active member of the Council of Parent Attorneys and Advocates (COPAA). Tere Ramos speaks nationally on the rights of students who have learning and other disabilities, with an emphasis on students who are “high needs”—those who receive special education services and are English language learners. She has provided training in special education and education civil rights for parents, school personnel, medical staff, community advocacy groups, and other service providers across the United States. She presents in Spanish, English, and Portuguese. Ms. Ramos also consults nationally with federal and state-funded agencies and programs. Her work includes helping agencies create and implement effective language access programs that comply with Title VI (national origin) regulations. See more about her national speaking and training. Ms. Ramos has received wide recognition for her legal work on behalf of underserved communities. 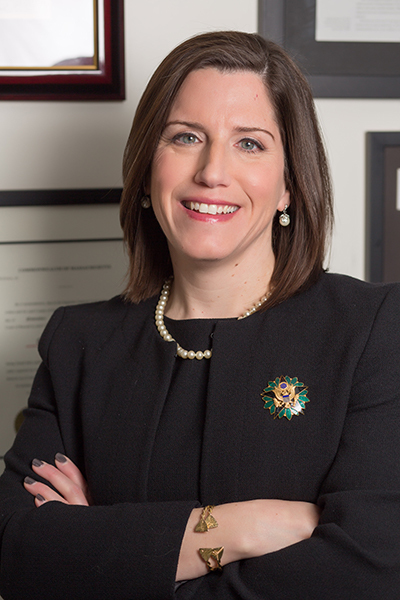 Her awards include a two-year Equal Justice Works fellowship, the Boston College Law School Dean’s Award for Diversity, BC Law’s Excellence in Pro Bono Service Award, and the Federation for Children with Special Needs Parent Leadership Award. The Boston Business Journal/El Planeta named her to the “Powermeter 100” list of Massachusetts’ most influential people for Latinos in 2012 and 2015.